Minors and children should not use Legends MMA. By using the Website, you represent that you have the legal capacity to enter into a binding agreement. 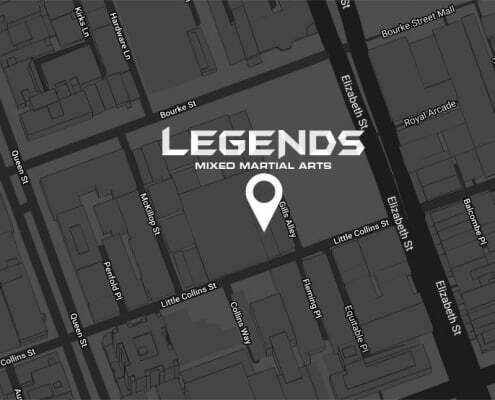 This Personal Information is obtained in many ways including, but limited to, via our website www.legendsmma.com.au, by phone, by email, from cookies and from third parties. We don’t guarantee website links or policy of authorised third parties. We collect your Personal Information for the primary purpose of providing our services to you and for marketing. We may also use your Personal Information for secondary purposes closely related to the primary purpose, in circumstances where you would reasonably expect such use or disclosure. 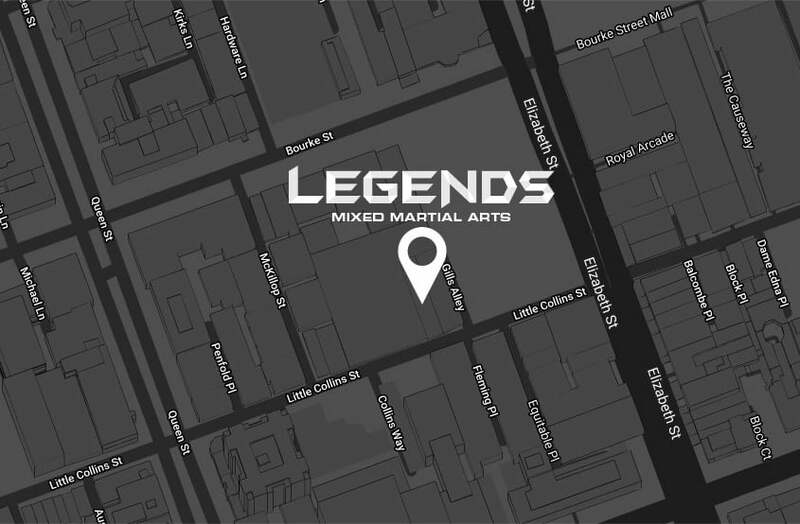 You may unsubscribe from our mailing/marketing lists at any time by contacting us in writing at melbourne@legendsmma.com.au or by opting out of receiving emails by clicking the appropriate link at the bottom of any Legends MMA emails. We don’t share your personal information with third parties. Only aggregated, anonymised data is periodically transmitted to external services to help us improve the Legends MMA Website. We currently use Google Analytics (traffic analysis, SEO optimisation), MINDBODY (business management software) and Mailchimp (mailing list management). We also use social buttons provided by services like Google+, Instagram and Facebook. Your use of these third party services is entirely optional. We are not responsible for the privacy policies and/or practices of these third party services, and you are responsible for reading and understanding those third party services’ privacy policies. It is an important to us that your Personal Information is up to date. If you find that the information we have is not up to date or is inaccurate, please advise us as soon as practicable so we can update our records and ensure we can continue to provide quality services to you. This Policy may change from time to time and is available on our website at www.legendsmma.com.au.